IFSG-Group – Presenting a perfect image! Our aim was to maintain that corporate look in the website layout that matches with company’s business values so we selected a neat and clean design for IFSG-Group. IFSG-Group is an FM company originating from UAE with an aim to add more and more utility services under its belt. The company mainly deals with providing smart, sustainable solutions to large corporations by partnering with them in managing their basic needs to run the premise in easy and effective way. 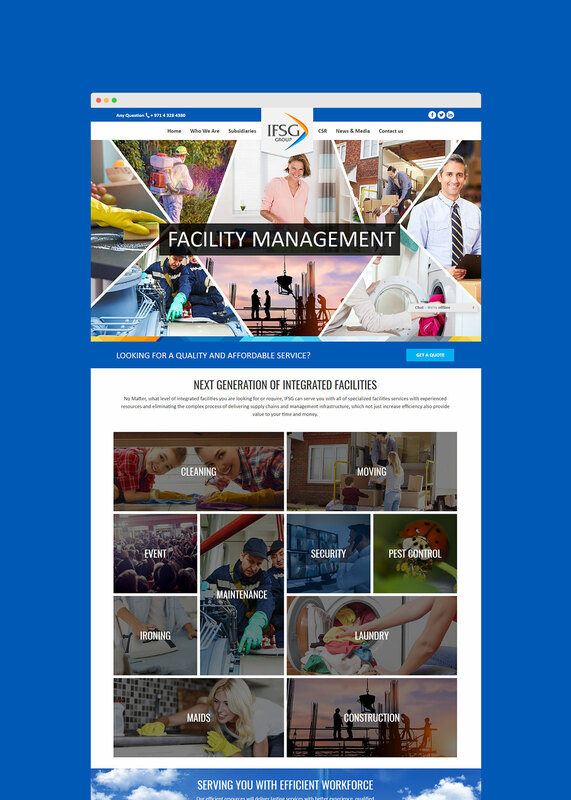 We helped IFSG-Group in setting its website pages with relevant keywords. This helped the company in appearing in the right search results and getting found by the relevant user that belongs to its business industry which propelled the chances of new business endeavors. Our aim was to receive record and maintain a sound sales cycle for the company. We achieved this objective by devising a proper customer support system on behalf of the company that helped IFSG-Group in generating a considerable amount of sales each month. The social presence is one of essential elements for measuring success of a business in today’s digital world. We helped IFSG-Group in establishing a strong social presence by broadcasting the right message across its social channels..
As an FM company, it is crucial for IFSG-Group to retain old customer by adding new clientage to its customer base. So we helped them in remaining in touch with its existing customer base through a non-interruptive cycle of communication mediums that includes email marketing, SMS notifications and social announcements from time to time. 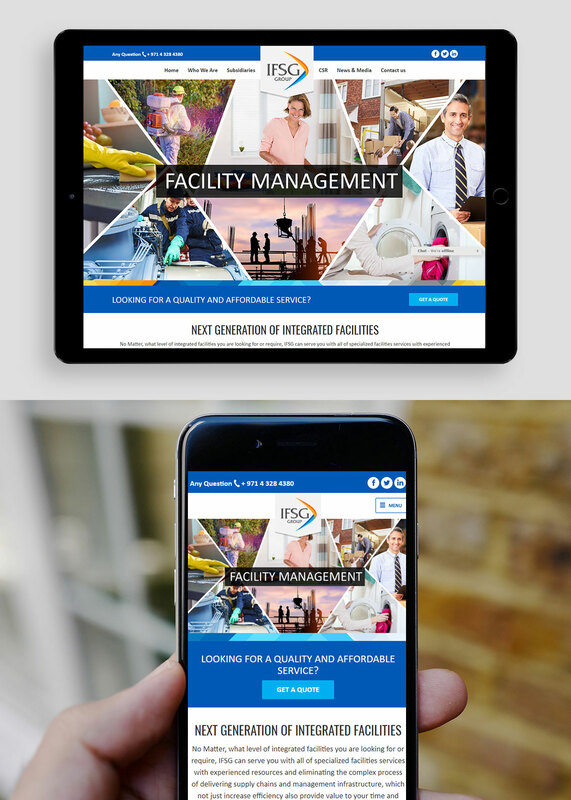 Our creative team helped IFSG-Group in creating a corporate presence on the internet that reciprocates with its business culture and work ethics. We further partnered them to maintain a sound sales cycle and customer retention program that leveraged the prosperity of the organization and helped it in deciding the direction by utilizing the online marketing channels to promote its services.